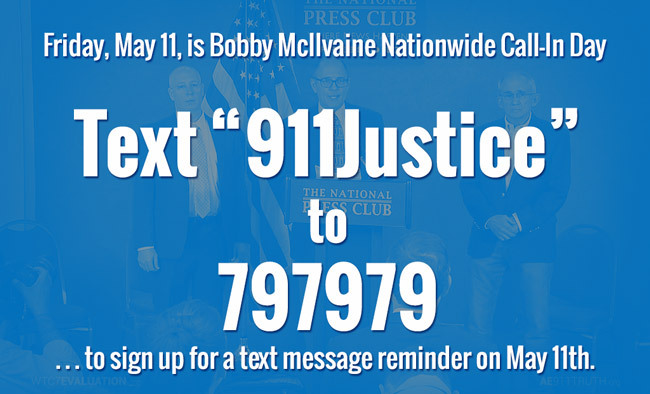 One week from today is Nationwide Call-In Day for the Bobby McIlvaine World Trade Center Investigation Act. Our goal is to put this legislation for a real WTC investigation in front of every member of the U.S. House of Representatives, so that one — or a handful of them — will be inspired to introduce the Act. When this bill is finally introduced, it will unleash a frenzied wave of attacks from demolition deniers across the media. But the courageous sponsors of the Act, fully prepared for the hostility, will draw from the plethora of supportive 9/11 family members and the voices of our technical experts to make the case for a new investigation. The national conversation will be an educational breakthrough for tens of millions of Americans, and support for the Act will grow. We need at least 3,000 activists to participate if we are to achieve our objective of reaching every member of the House with multiple phone calls. If you are one of the 2,600 people who’ve already emailed your representative, please understand that your additional help — a quick follow-up call on May 11th — is absolutely critical to our success! 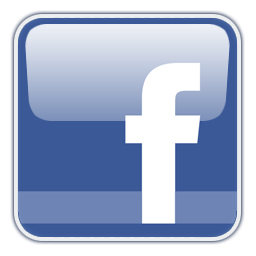 Go to AE911Truth.org/Justice today, where you will find five easy-to-follow steps for how to participate. Note that the last step is to email us, so that we can total up how many calls were made. 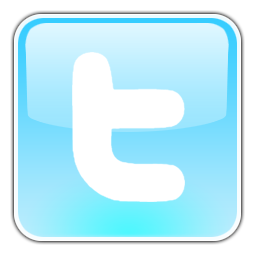 We also encourage you to sign up now to receive a text message reminder on the morning of Friday, May 11th. To do so, simply text “911Justice” to 797979. 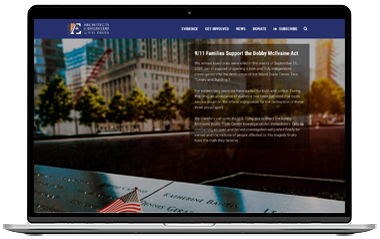 If you’d like further inspiration and insight into the Bobby McIlvaine campaign, have a listen to this week’s episode of 9/11 Free Fall with host Andy Steele and AE911Truth director of strategy Ted Walter. Sixteen years after the events of September 11, 2001, it is well beyond time for Congress to open an unbiased investigation and use its subpoena power to uncover the full truth surrounding the destruction of the three World Trade Center towers. The Bobby McIlvaine Act — named after a 26-year-old who was tragically killed while entering the North Tower and whose father Bob has been an outspoken advocate for a new investigation — would establish a select committee to reinvestigate the disaster.